The Maximus Mega Slab ... an alternative to traditional granite surfaces. 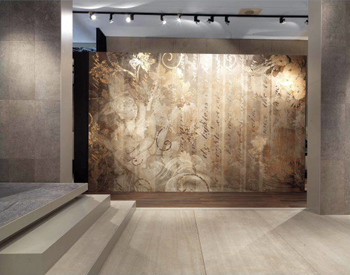 UAE-based RAK Ceramics, a global manufacturer of premium lifestyle ceramics solutions, has launched the largest ceramic tile in the GCC region aiming to expand its reach and to compete in new arenas. 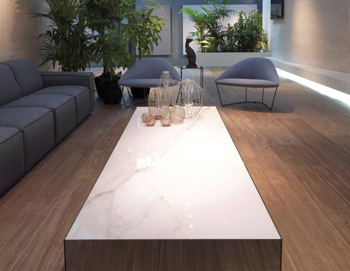 Maximus Mega Slab in Gres Porcellanato, produced using Continua Technology, will be the largest single pressed ceramic tile in the region measuring a gigantic 1.5 by 3 m, said the company. RAK Ceramics said it is the only manufacturer in the region to have employed Sacmi Continua Technology. The innovation, launched at Spain’s Cevisama Exhibition last month (February 9 to 13), can be used on walls, floors or to create surfaces, providing an alternative to traditional granite surfaces in kitchens, bathrooms and other spaces, said the company, adding, its large size reduces the need for multiple joins and grouting on floors. 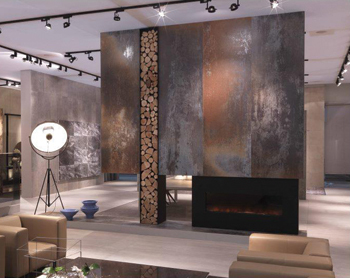 The slab will be showcased throughout this year at a number of high-profile trade shows and exhibitions around the world. According to Abdallah, the launch of Maximus Mega Slab is in line with the company’s growth plans which includes focusing on expanding “core business” activities in the UAE, India and Bangladesh and scaling down of “non-core operations” such as contracting activities in the UAE. Meanwhile, as part of new growth strategies, RAK Ceramics has made two senior appointments to its management team in the UAE. Stefan Schmied has been appointed as the president of tiles and sanitary, while Raaqib Mutvalli has been named head of the performance management office. In his new role, Schmied will be responsible for the sales and marketing of tiles and sanitary ware products both regionally and internationally. Prior to this, Schmied held several key management roles within Geberit, one of the most successful and renowned brands in the sanitary industry. Mutvalli, meanwhile, will work closely with the leadership team to drive key projects, which will enable the business to achieve its 2017 vision, the company said. Mutvalli joins RAK Ceramics after spending his entire career as a management consultant, most recently with PwC Consulting in the UK where he advised Fortune 500 companies on how to make sustainable improvements to their organisations and implement cross-functional changes in leading companies. Headquartered in Ras Al Khaimah, RAK Ceramics is a pioneer in introducing hi-tech innovations including digital technology, ceramic slabs, anti-bacterial tiles and tiles that glow in the dark, double charge, roll feed and water jet designs, in addition to robotic glazing, wide-body products and high-pressure casting techniques.